Boeing is betting big on automating its flying machines. The aerospace giant is buying Aurora Flight Sciences, a maker of automated drones and aviation parts, in a bid to bring increased automation to airliners, military drones and even personal air taxis. "The combined strength and innovation of our teams will advance the development of autonomy for our commercial and military systems," said Greg Hyslop, chief technology officer and senior vice president of Boeing Engineering, Test & Technology in a statement. Aurora's products, which include long-endurance aircraft, robotic co-pilots and autonomous electric vertical takeoff aircraft, "will be transitioned into world-class products for the global infrastructure," said John Langford, Aurora's founder and chief executive officer. The terms of the deal were not disclosed, but the acquisition is the clearest signal yet that the planet's largest plane maker sees automation as the future of aviation. "It's hard to predict where the future is going," said Hyslop in a call with reporters Thursday. "But I think we know where the vector is pointed and we want to be ready as the technology matures and take full advantage of that in our products." The move significantly accelerates Boeing's foray into autonomous technology. Until now the company had focused on a few drone projects, and an autonomous submarine, but not commercial aviation technology. Boeing in June said it would explore automation for commercial aircraft. The plans came in response to concerns that the industry would experience a shortage of pilots in the near future that would hamper the growth of world air travel. Boeing estimates the industry will need 637,000 pilots over the next 20 years. "We're looking at what with the advances in sensing technology, artificial intelligence and other areas around autonomous flight, what that can do to make an already safe airplane even safer," said Hyslop today. Related: Pilotless planes could save airlines billions. But would anyone fly? Acquiring the technology may be the easy part. Convincing the public that autonomous aircraft are safe looks to be more difficult. Only 17% of flyers said they would fly on a pilotless aircraft, according to a recent UBS study. The acquisition also gives Boeing a seat at the table in the race to develop electric air taxis. Aurora in April made the first flight of its own air-taxi prototype, the XV-24A, designed as part of Uber's Elevate program to add on-demand air taxis to its ride-sharing product. 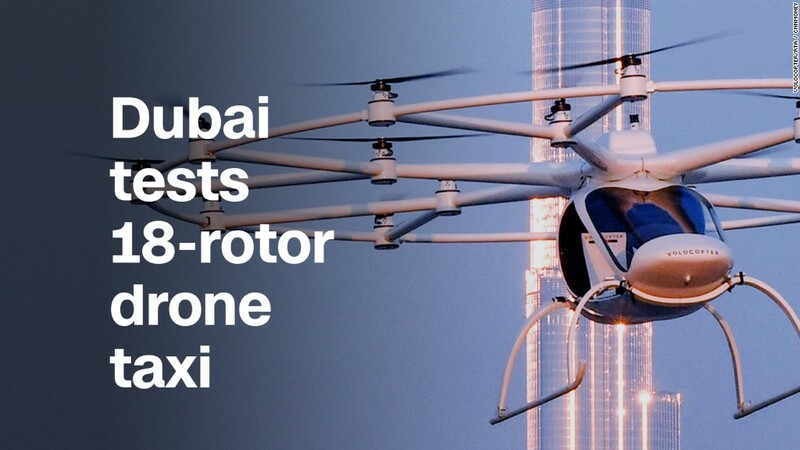 There have been a spate of concepts and demonstrations of electric flying air taxis, but few have earned the backing of the biggest aerospace companies who have the expertise and deep pockets to prove to regulators the technology works and is safe for the public. But the large acquisition differs from its chief rival, Europe's Airbus, which has slowly cultivated new, small aircraft technology through its Silicon Valley unit, A3. The company is developing its own single-seat personal flying vehicle dubbed Project Vahana that is expected to fly later this year. The decision to acquire Aurora comes just a week after Boeing set up a formal office to develop plans for its next-generation passenger airliner, often dubbed the 797. Such a jet would be the first all-new airplane to take advantage of the company's on-going research into sensors and automated systems. Boeing said there are no firm plans for the twin-aisle jet yet, but the office would "also serve as a vehicle to evolve how we design and build airplanes," the company said in a statement last week. Hyslop wouldn't say if Aurora's technology would appear on the 797. He said Boeing is going to "look for those areas where Aurora can immediately provide an impact to our current programs." "I think the combined power and imagination of those two teams is really going to lead to some exciting changes that will affect not only our commercial products, but affect our defense products as well."